Two online qualifying tournaments for the North American Ing Masters have been set for June 4-5 and June 25-26. “The event will be similar to previous ones,” says National Tournament Coordinator Edward Zhang, noting that this year players will be required to use a web camera. Email tournaments@usgo.org to register. Similar to local qualifiers — Andy Liu 7d and Curtis Tang 7d have won two local qualifiers in Boston, MA and Alhambra, CA — the online qualifier winners will each be guaranteed a place in the NAIM main event. 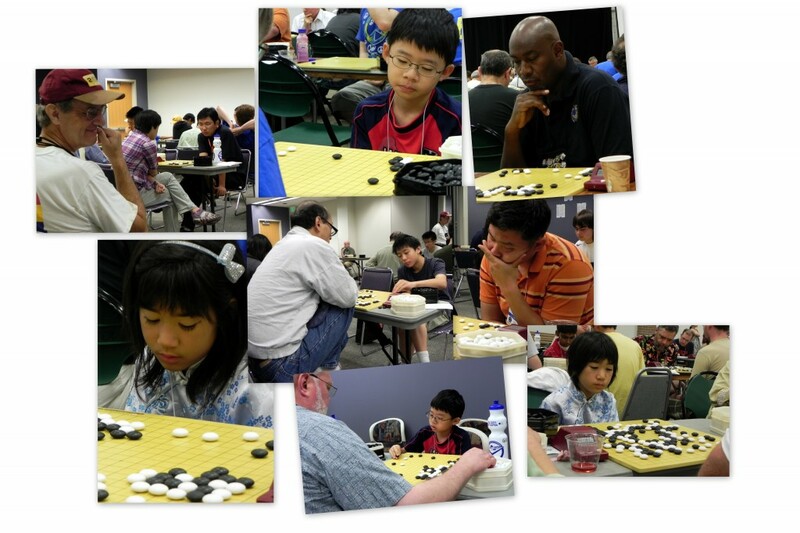 “Professional players in U.S. and Canada should also email tournaments@usgo.org to let us know your playing status in the 2011 NAIM,” Zhang added. With turnout at this year’s U.S. Go Congress in Santa Barbara heading for a record, the American Go Association is already looking ahead to future Congresses. If your chapter might be interested in hosting a Congress – click here for full details on what’s involved in organizing the AGA’s premier event of the year — contact Chris Kirschner at development@usgo.org or 206-579-8071 for more information. The 2012 Congress is set for North Carolina, but from 2013 forward is currently up for grabs. The 32nd annual World Amateur Go Championship (WAGC) will be held later this month in Matsue City in Japan’s Shimane Prefecture. Seventy top amateur players from 70 countries and territories will compete to be the best amateur in the world. The tournament runs Thursday, May 26 May through Friday, June 3, and for the third year the E-Journal and Ranka Online are teaming up to bring you complete coverage of this exciting event, with daily updates including game records, commentary, photos, player profiles and news about the tournament. The American Go Foundation (AGF) is again offering youth scholarships to both the AGA Summer Go Camp and the US Go Congress. A limited number of scholarships are available and the application deadline is May 30. Up to 15 awardees will be selected by June 1. Applications received after the deadline will be placed in a lottery, along with other applicants who were not selected in the first round. The remaining scholarships will be awarded by chance. Needs-based scholarships to the Go Camp are also available. To apply for Go Camp, click here. To apply for Go Congress, click here. - Paul Barchilon, E-J Youth Editor. 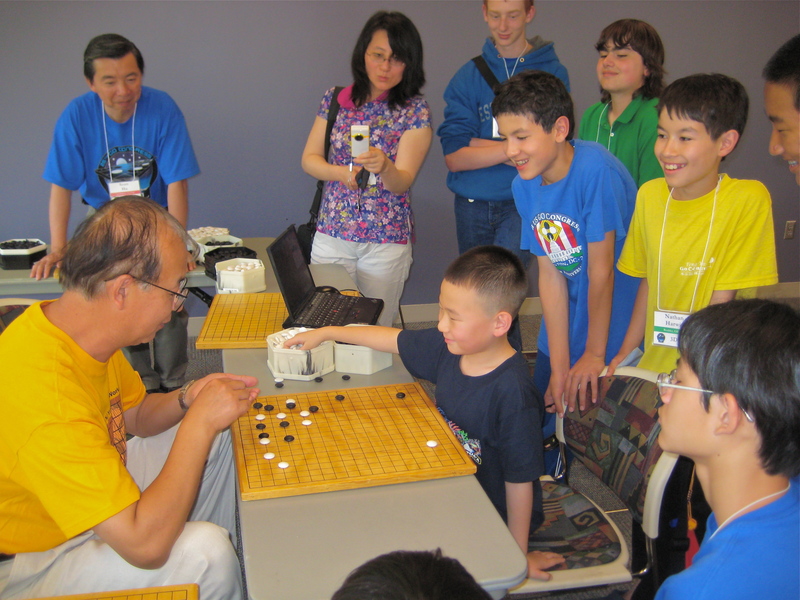 Photo: Eight-year-old Aaron Ye, 2d, reviews his US Open game with Yilun Yang 7P, at the 2010 Go Congress in Colorado Springs. 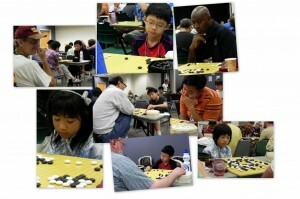 Registration for the 2011 U.S. Go Congress is approaching 200, with 174 registered, including 96 kyu-level players, 57 dan-level players, and 20 non-players. “Initial deposits must be paid by June 1st to ensure the lowest price!” say organizers Lisa Scott and Andrew Jackson. The Congress runs July 30 – August 7 in Santa Barbara, CA, and the registration thus far “suggests that turnout is going to be very high,” say Scott and Jackson, “and also that the discount we’ll be able to offer will be high as well.” Click here for details and to register. YOUR MOVE: Where’s the WAGC? “When and where will the next WAGC be held?” wonders Joel Sanet. 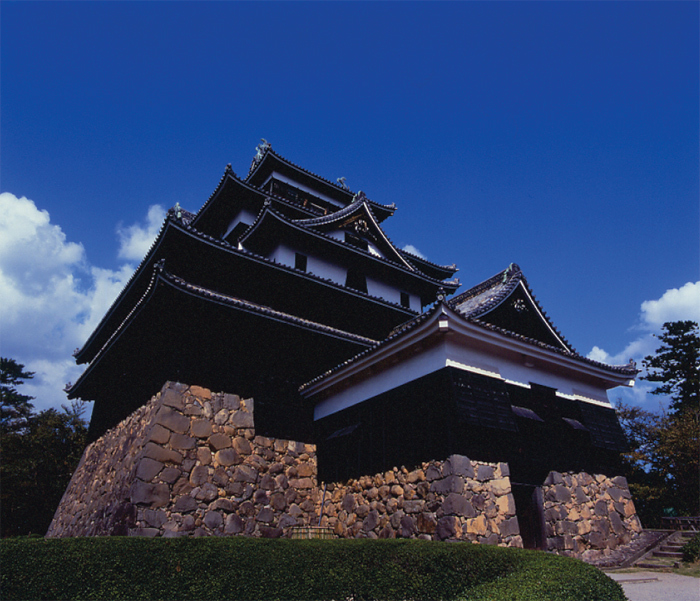 The 2011 World Amateur Go Championships (WAGC) are scheduled to be held May 27 through June 1 in Matsue City in Japan’s Shimane Prefecture. At press-time we don’t have any post-quake updates on the status of plans for the tournament; we’ll keep you posted as we learn more. Eric Lui 7d will be the U.S. rep at the WAGC, where 70 amateur players from 70 countries and territories compete, and which will be covered in the E-Journal again this year with daily reports, photos and game records. Peter Shotwell and Paul Celmer are putting out a preliminary call “for contributors to a conference on the influence of go in international history, art, literature, philosophy, science, education, politics, peace, warfare and more.” The two say they’re “trying to determine the feasibility of an international academic conference at the 2012 Go Congress in North Carolina.” The conference would expand on the highly successful symposium held in Sweden in 2008. “We will be looking for sponsors, but first we need to know how many people would be interested in presenting papers if expenses were fully funded, partially funded or not funded at all except for room and board for the days of the conference. If interested, write pshotwell@gmail.com and be sure to mention possible topics and estimated travel expenses.